CDC Healthy Schools offers many resources for parents. 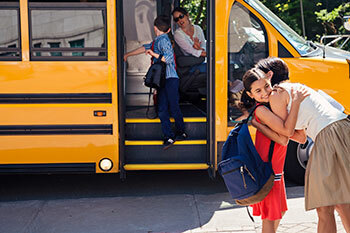 Discover ways to help your kids get a healthy start to the school year. As summer comes to a close, there is always a lot to be done to get kids ready to go back to school. Parents, help your kids have a great school year by making sure they are healthy and ready to learn – because healthy students are better learners. CDC has tips and resources to help. Read on for more information! CDC has many resources to help parents give their kids a healthy start to the new school year. Approximately 25% of children ages 2-8 years old in the United States are affected by health issues, such as asthma, obesity, other physical conditions, or behavior/learning problems. For these students, School Health Services staff can play a large role in daily and emergency care during the school day. Health services can help reduce the number of days your child has to stay home from school and miss valuable instruction time. Read more about how you can get involved with this fact sheet on School Health Services. [2.36 MB] Listen to this podcast to learn more about the importance of school health services. Tooth decay (cavities) is one of the most common chronic conditions of childhood in the United States. Children with poor oral health (cavities, gum disease) often miss more school and receive lower grades than children who have better oral health. Don’t forget to include a dental check-up in your back-to-school plans. Need to find a dentist? Use the Insure Kids Now Dentist Locator. CDC’s new, interactive learning tool, the Virtual Healthy School, lets parents take a tour (guided by “Principal Paul”) of the classrooms, playground, cafeteria, gymnasium, nurse’s office, and more. Each room shows the ways that school staff create a healthier school through large and small changes. CDC doesn’t just provide resources for parents. BAM! Body and Mind is an online health resource for teachers and kids ages 9–12 that provides information through games, quizzes, the Dining Decisions mobile app, and other interactive activities. Research shows that the health of students is linked to their academic achievement. It is important for parents to make sure they are giving their kids a healthy start to the school year. Visit the Parents for Healthy Schools website for a comprehensive look at how parents can play a powerful role in supporting their children’s learning.